Our new “Angels With A Cause Program” was created to raise awareness and profits for charitable organizations like yours, while simultaneously exposing the healing power of art to those in need. Recent research conducted by such renowned medical institutions as Duke University Medical Center and Dartmouth Medical School, shows that art actually heals by changing a person’s physiology, as well as their emotional attitude. 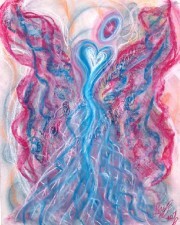 Our Angelic Message Portraits™ are not only healing, they are reminders that angels are with us to hold our hearts and guide us, especially as we navigate through otherwise difficult times. 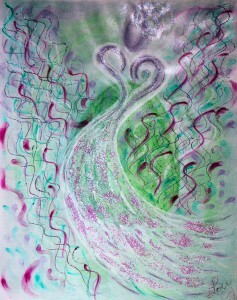 This angelic art therapy is part of a whole new genre of “healing art” that is being born as we speak. • Donate a 16×20 portrait to be auctioned off at one of your events. • Feature the angel of your choice as our “Angel of the Month” and contribute a percentage of the online sales of all products featuring that angel to your organization. • Provide you with access to our wholesale product line, enabling you to purchase items for event “goody bags” or to resell as you choose to your clientele. In addition, if your organization is selected to be featured in this program, we will collaborate with you on marketing ideas, publicity campaigns, cross promotions, website links, social media networking, and the like. Here at The Crystalline Institute our mission is to provide guidance and spirituality by exploring the world of endless possibilities. Our new ” Angels with a Cause Program” was designed to assist us in doing just that. Those who wish to join us on this collaborative adventure will be able to expose the healing power of art to their clientele while raising money to support their organization’s mission at the same time. By building strong business relationships with charitable organizations like yours, we are afforded the opportunity to give back to the world some of the blessings we have been gifted with over the years. If you are involved with a charitable organizations, and are interested in finding out more, please e-mail us with any questions or interests you have concerning this program. 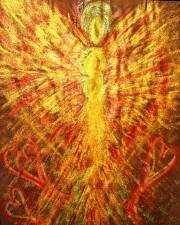 We look forward to sharing the healing power of the angels with you!